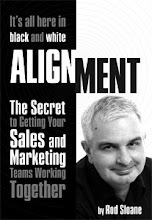 Sales and Marketing Alignment Blog from Rod Sloane: Please, Show Me How me to use Your stuff on Video! Please, Show Me How me to use Your stuff on Video! 1.It makes your product or service come alive. It;s the closest I can get to touching and playing without having the physical product. 3.It's fun . People watch TV for fun, they equate video with fun and entertainment. Here is an example of "How to" use a product I have bought the Zoom H2 digital recorder. 90 second video, enough! N.B.I have no relationship with Zoom apart from being a customer. Now it might seem a little cheesy but it does the job. Message to Zoom...Where is your YouTube Channel?